3 Blank cards are shown and a spectator is asked to write their name & a picture on one of the cards. Suddenly the freely drawn name/picture magically appears all 3 cards. And now for the kicker surprise... suddenly ALL cards have HAPPY BIRTHDAY written on them! 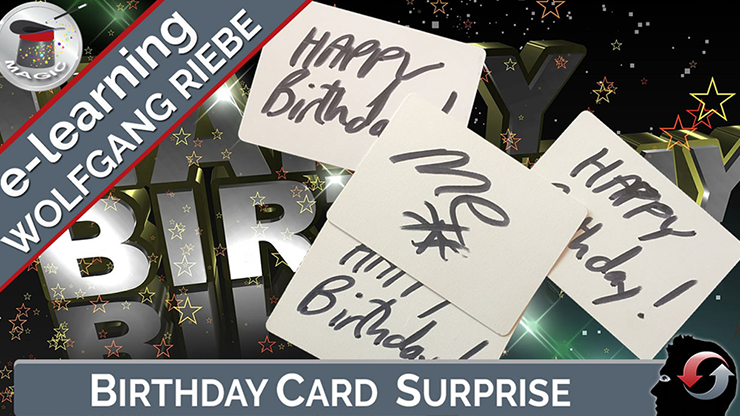 Birthday Card Surprise by Wolfgang Riebe - video DOWNLOAD Another killer close-up packet card trick from the creative mind of Wolfgang Riebe!